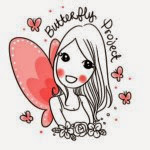 Hi, girls! Don't we all crave for a spa-like relaxation every now and then? 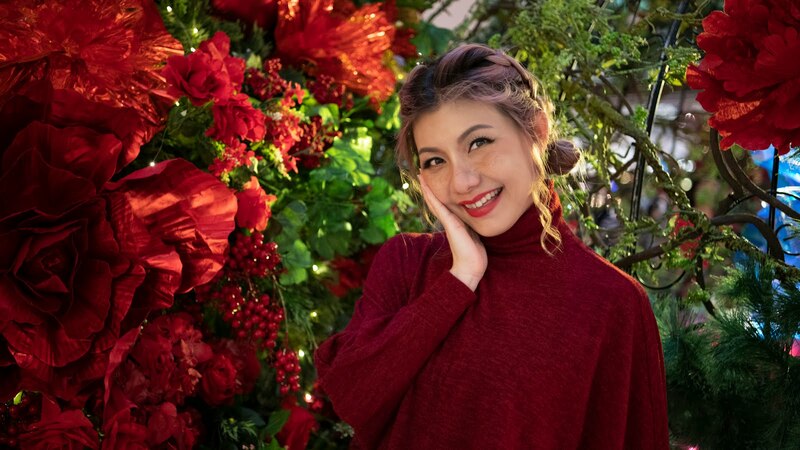 Unfortunately, due to hectic lifestyle or family commitment, it might be hard to take some time out to pamper yourself. Well, how about unwinding and enjoy some 'me' time by indulging in a home spa experience at the comfort of your home? After all, self-care is utmost important especially when you're snowed under with deadlines, back to back events and a never-ending to-do list. We were introduced to Bare for Bare, an affordable luxury bodycare and haircare range that harnesses nature's healing and therapeutic benefits to boost physical well-being. 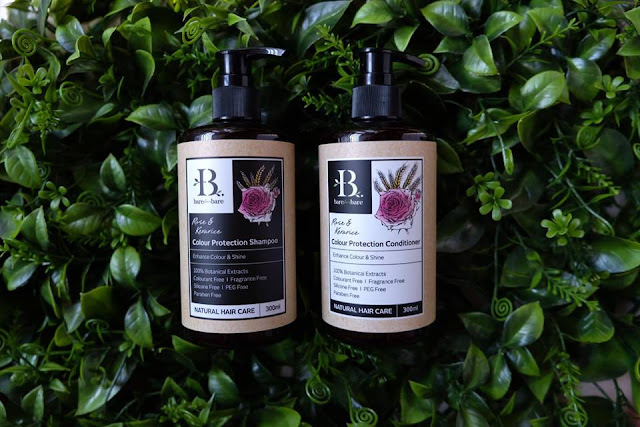 Did you know botanical solutions have been used to treat various indispositions, improve overall mood and ensure physical well-being for centuries? A small reprieve can work wonders to stave off burnout, reduce stress and help you refocus, even better when you don't have to spend a bomb, right? Bare for Bare allows women to express their true selves with an array of fragrances and harmonious ingredient combinations, created to compliment every mood setting and for a home spa experience like no other. Ahh... the insane traffic, demanding client and all sorts of daily pressure, there's nothing better than to wash all the stress away with a wonderful floral warm shower or bath. 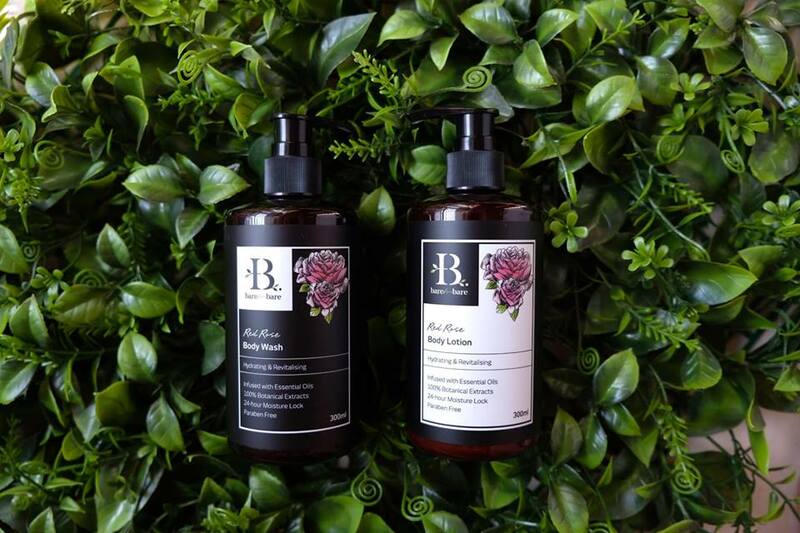 Bare for Bare bath rituals comprises of six amazingly scented nourishing formulations infused with essential oils such as Rosemary, Lemongrass & Ginger, Bergamot & Geranium, Green Tea, Lavender and Red Rose to cater to your mood of the day. Made of 100% botanical extracts, Bare for Bare bath rituals are also paraben-free and provide up to 24-hour moisture lock. 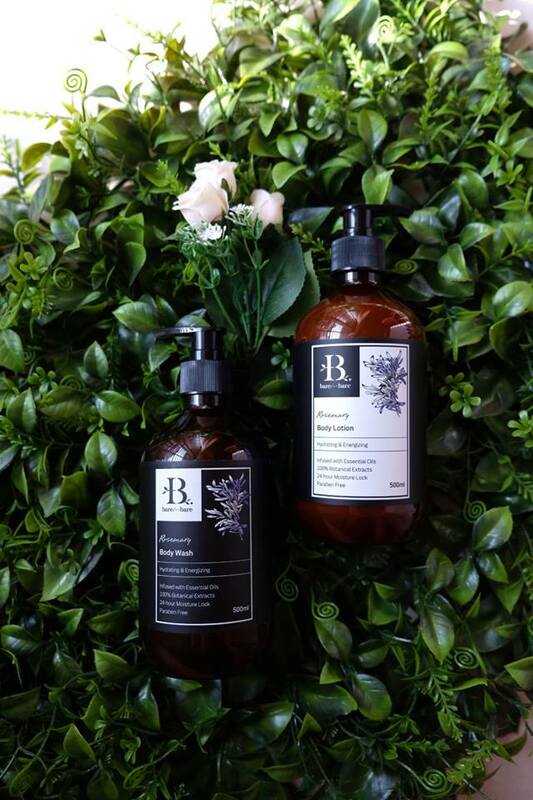 The Rosemary Body series is richly infused with Rosemary essential oil to deliver relaxing and hydrating benefits. Rosemary essential oil not only helps in skin regeneration but also relieve fatigue and restore emotional well-being with its pleasant and mildly sweet aroma. Bare for Bare body wash lather up easily for a truly luxurious and relaxing shower. The Damascus Red Rose essential oil highly-prized for its fragrant aroma delivers a romantic floral scent while keeping skin well-hydrated, soft and supple to the touch. I love the velvety texture, ultra-rich body lotion which not only smells great, but absorbs quickly without leaving a greasy residue and restores moisture to my dry skin instantly. Not to mention, the delicate floral scent invigorates and uplifts my senses. After a long day at work or after an intense workout, all you want to do is get rid of sebum build-up from your hair, leaving it clean and refreshed. Bare for Bare shampoos and conditioners are infused with essential oils to clean your hair without stripping of hair natural moisture, leaving your hair look and smell amazing. It is made with 100% skin-loving botanical extracts and is free of colourant, fragrance, silicone, PEG and paraben. 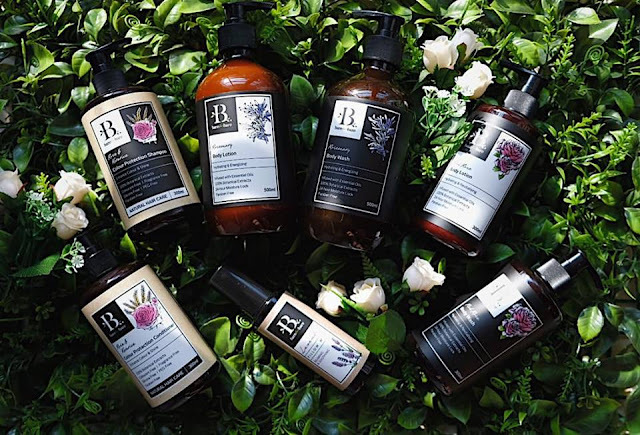 Bare for Bare hair care lines which are designed to cater and nourish your hair includes Damage Repair, Hair Fall Control, Scalp Care and Colour Protection. The Bare for Bare Colour Protection formulated with Kerarice Extract (an active ingredient derived from rice grains) is well-known for its ability to promote hair keratin, strengthen hair strands, recover shine and restore hair smoothness. It impedes colour fading and protects hair fibers from oxidative damage due to solar radiation, whilst the Rose Extract packed with antibacterial and antiseptic properties, moisturise and condition hair follicles, reinstate hair shine, reduce dandruff and scalp inflammation. It leaves my hair soft, moisturised after each wash and smell good all day long. Are you constantly struggling to fall asleep? 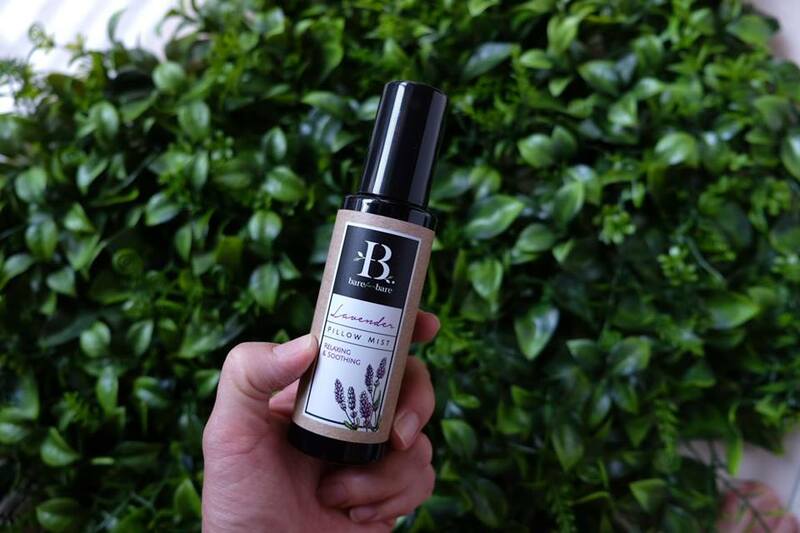 If you are, you should really try this Bare for Bare Lavender Pillow Mist and spritz your way to a more restful and great night's sleep. Rich in Lavender essential oil, Bare for Bare Lavender Pillow Mist helps to create a calming atmosphere that promotes a night of peaceful and deep sleep. Simply spritz it onto your pillows or near your bed and you'll drift off into dreamland in a jiffy! This is truly a godsend as I've always had difficulty falling asleep. The subtle and soothing lavender also make my bedroom smell good too. Bare for Bare bodycare and haircare comprises a multitude of pure and finest botanical ingredients meticulously extracted from natural plants, herbs, roots, flowers, fruits, leaves or seeds, care specially curated to pamper and beautify you from head to toe. Each product is infused with essential oils to deliver soothing aromatherapy and relaxing benefits. It is also cruelty-free, contains no animal by-products and Halal-certified. Be bare, be yourself, indulge in your personalised sensorial experiences through Bare for Bare natural botanical bodycare and haircare range.